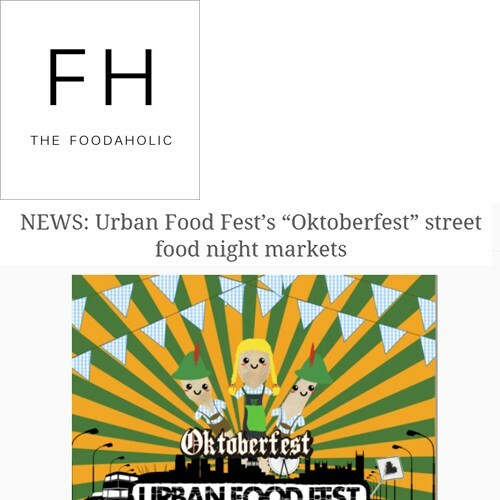 Starting this September Urban Food Fest founder Jessica Tucker (who speaks fluent German) wants to bring the thrilling and exciting atmosphere of the Munich Oktoberfest to us Londoners. Jessica will be brining the beer infused fun to Shoreditch for 3 Saturdays. A total of 15 street food trucks & stalls will serve traditional German street food including the “Deutschland” giant hotdog topped with sauerkraut, “Lederhosen” triple stacked beef & pickle burger, “Munich” pork belly on soft brioche roll alongside world cuisines with a special German twist including the “Goethe” Venezuelan arepa filled with German steak topped with sweet mustard, “Kafer” Bavarian cheese Mexican tacos, “Hallo” Vietnamese crispy schnitzel chicken strips with German crispy potatoes; and in our vegan “V Corner” German-Italian vegan polenta with chilli. German desserts include “Black Forest” cherry waffles & apfelstrudel crepes. 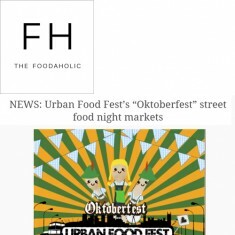 If that wasn’t enough Oktoberfest to gnaw on then keep on reading! To wash down all that delicious food a themed Oktoberfest bar will be serving a selection of ice-cold Munich beers, as well as craft beers, ciders, German wines (of course) and prosecco. The cocktail bar will include the “Wie Gehts” ginger beer & dark rum cocktail and the “dirndl” German red berries & vodka cocktail – plus shots (lots) of Jagermeister to get you in the party spirit. Live music, including the Oktoberfest special “Hey Baby!” will be on top form to get the crowds moving, plus plenty of seating to chill & relax in – complete with servers in traditional themed dress. Everyone who has the guts to dress up in themed Oktoberfest outfits will get a free beer or cocktail too. I may just try to pull off two outfits for the extra cocktail.